It’s been a busy week in the garden despite (or because of) all the rain we’ve had down here in Tasmania. Last year because I was late getting my last crop in, I determined that despite the frosts we get in this garden, it could be possible to grow potatoes year round with careful preparation and the right site. So today I’m putting it to the test! A few weeks ago, a dear friend gave me a Pink Fir Apple potato. 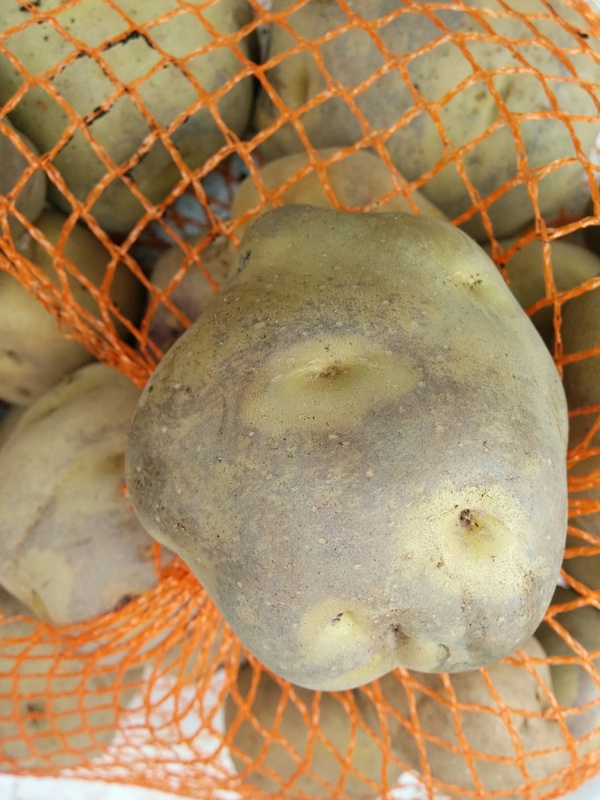 She’d been given a handful of tubers by another gardener, who claimed this is the absolute, all time best waxy potato for boiling, steaming or salads. 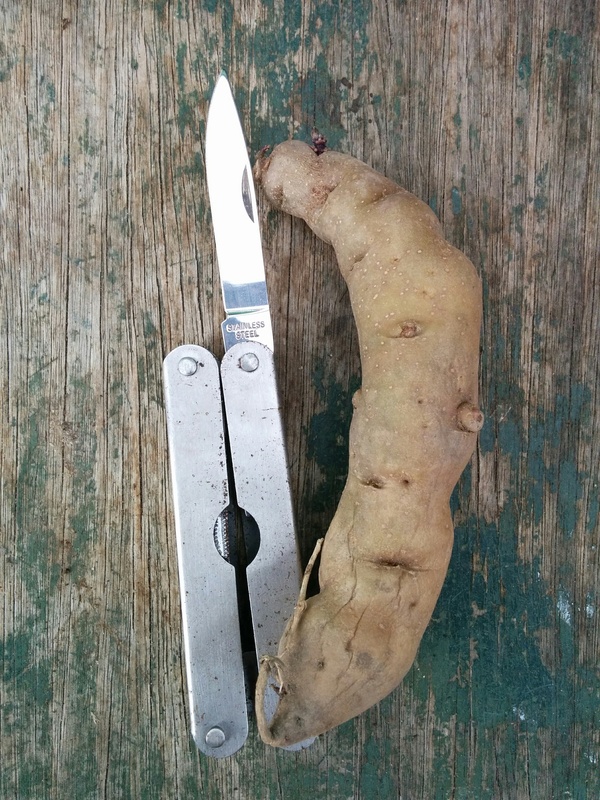 The long, knobbly, pinkish tuber is an heirloom variety that can be traced back to 1850’s France. It’s been sitting on the coffee table in my loungeroom for month or more, starting to get a few small buds from the multiple eyes. The Pink Fir Apple is a late season maincrop variety so I’m really stretching the boundaries planting it now but while I’ve been off work sick, I’ve been doing some research. I’ve been watching a lot of YouTube videos about wicking barrels in preparation for the dwarf fruit trees, which should be arriving next month. 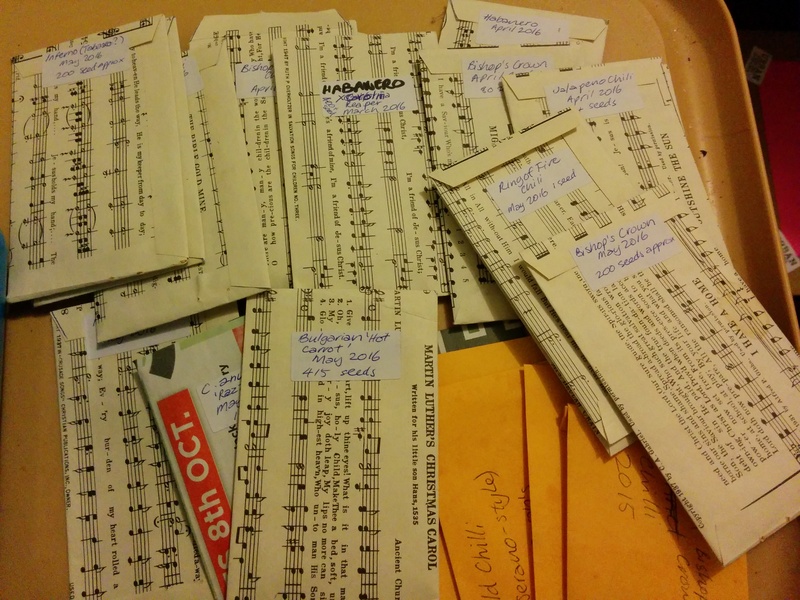 Along the way, I discovered Dan and his Yorkshire Dales Allotment Diary and something I’d never thought about before – growing potatoes in plastic pots! I remember growing them in drums when I was a child with my father and a couple of times in grow bags over the years but I’d never considered putting one or two in a pot and gradually earthing up as the shoots appear. Now the greenhouse is gradually emptying – it is no longer the House of Basil 😦 – I’ve got room to put a few tubs in to overwinter. Frost is the big issue for potato crops and every autumn I get “volunteer” spuds coming up in random spots. The first good frost of winter and they’re done. And there’s no denying it, potatoes take up a lot of garden bed space! But in the greenhouse they are protected from the 8-10 hard frosts we get here each winter and by the time spring comes I can move them outside to finish off. So, I used spent potting mix from the basil crops, mixed it with a few handfuls of old mushroom and put some in a clean 30 liter pot. I cut the Pink Fir Apple into four pieces, each with an at least one active eye and covered with a layer of the potting mix. Importantly, I remembered to label the pot! Then, I did a few more pots with the early Pink Eye, possibly Tasmania’s favourite potato. 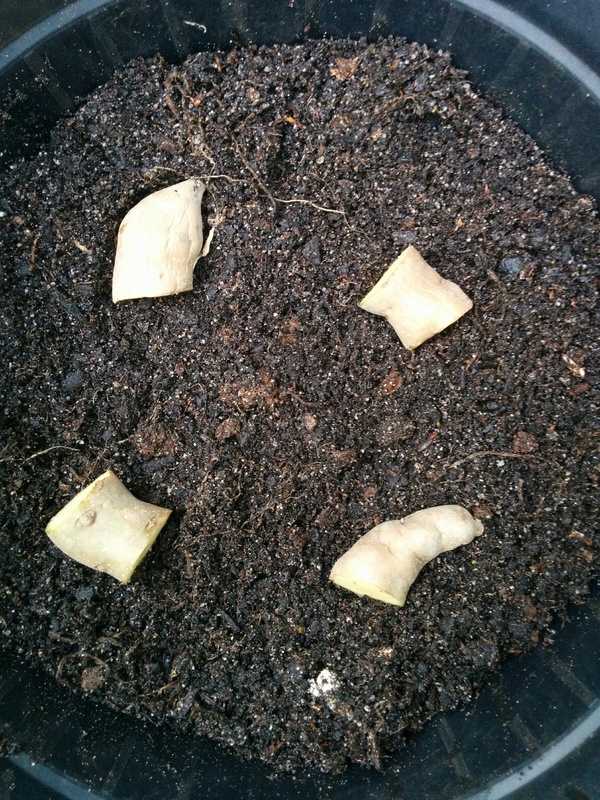 I’ll keep you up to date with the progress, but my aim is to grow potatoes year round, or as close as I can get to it. Potatoes take 100-140 days in summer depending on the crop, so I anticipate I’ll be testing the first of the pots in mid-late September. 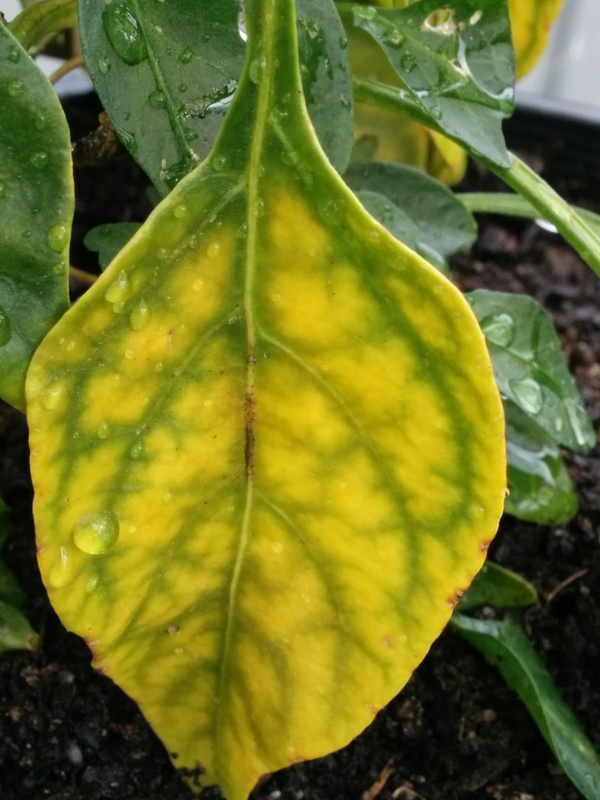 While I was mucking about in the greenhouse today, I checked up on another of my gardening experiments. About a month ago, I took my three first year Tioga strawberry plants and trained their runners into prepared pots. 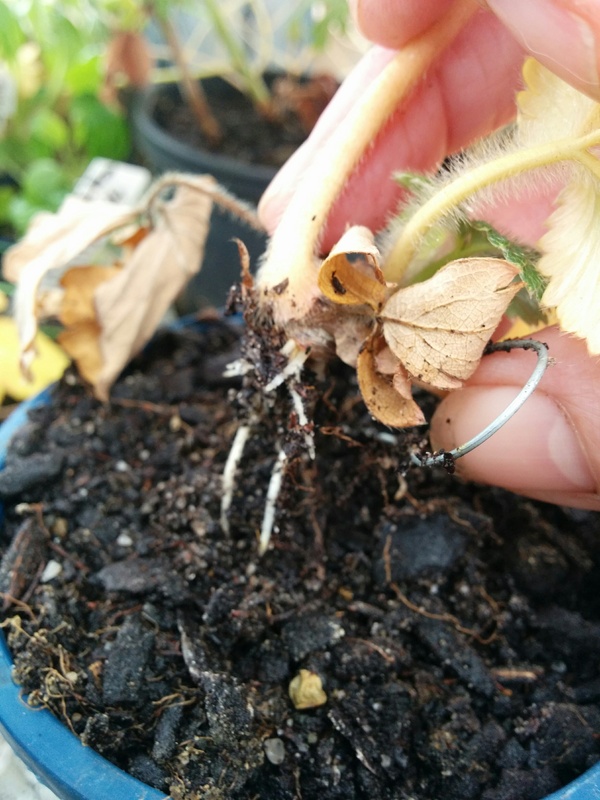 Strawberries need to have their crowns above the soil, so I cut pieces of soft, flexible wire to pin them to the top of the soil. I’ll be reusing these in spring to layer herbs such as thyme, oregano and marjoram. The results were impressive. I now have six more Tioga plants and about another eight or so that are just starting to put down roots. 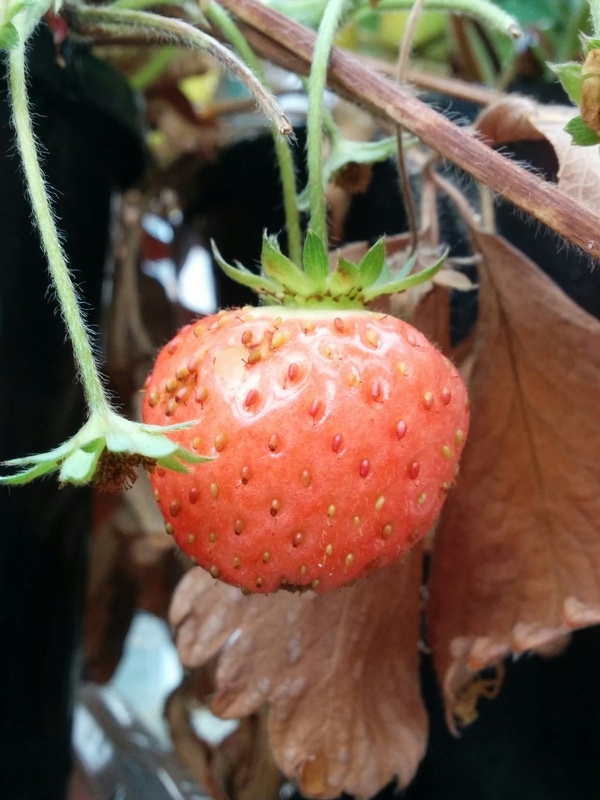 I grow my strawberries in pots because of slug problems and generally only keep plants for a few years as they produce less and less the older they get. Again, the key is making sure the pots always have a dated tag, it’s too confusing otherwise! 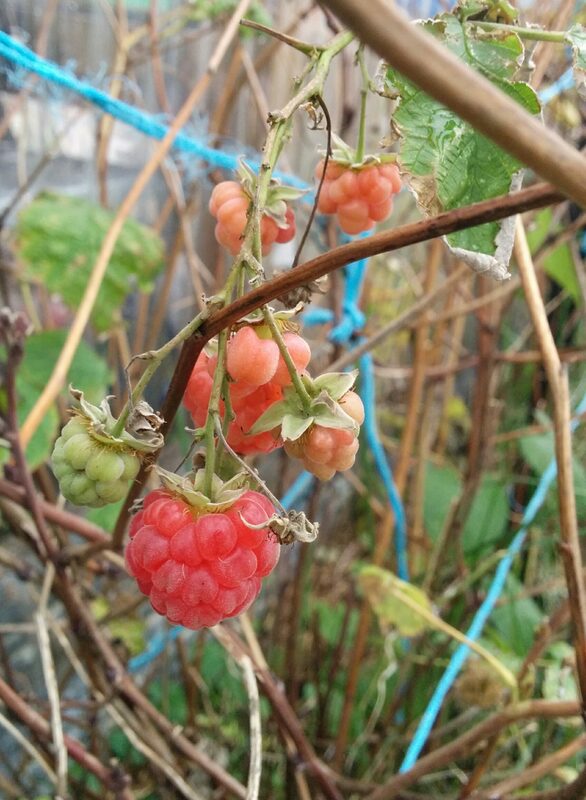 And yesterday, I discovered not only a ripe and utterly delicious strawberry but (for me) a first in my garden – ripe raspberries in June! While they were delectable, the flavour wasn’t as good as the summer berries. And no wonder really, these are (supposedly) a summer only variety! 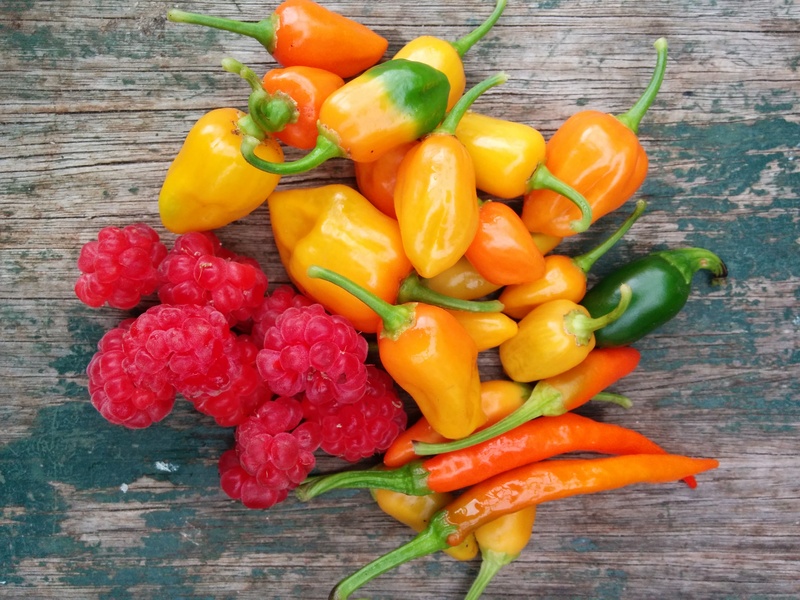 Along with the raspberries, there was a load more chilies – mostly Habaneros but there’s still Cayenne, the wrongly labelled Inferno and the last Jalepenos of the season. I’ve started cutting back a lot of the chilies now and retiring the weaker plants to make room for new plants in the spring. Weirdly, the Poblano Ancho, Hot Portugal, Razzmatazz, Serrano and Rocoto are still ripening, which I suppose also underlines how mild overall the weather has been. While it’s been wonderful to have such a long extended growing season, it worries me too. Many of the crops I grow – the brassicas, winter salad greens and especially the fruit trees – really need the cold weather. The apples, apricot, nectarine and even the espaliered peach need a certain number of chill hours in order to stimulate flower production at the end of winter. Well, I won’t have long to wait for some cold weather – tomorrow’s forecast is for a possible thunderstorm, hail and snow on higher peaks. Maybe winter is here at last?